The issue of methylmercury pollution rises and falls in news media. 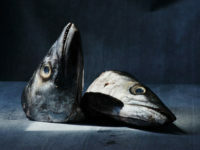 In “Life After Mercury Poisoning” for Mosaic, Joshua Sokol introduces readers to the aging victims of the most enduring case of mercury poisoning in the world. Sokol takes a complex scientific subject—the toxicity of methylmercury—and weaves it into the story of the survivors who have spent decades telling their stories. Here’s a look at what makes his piece excellent.